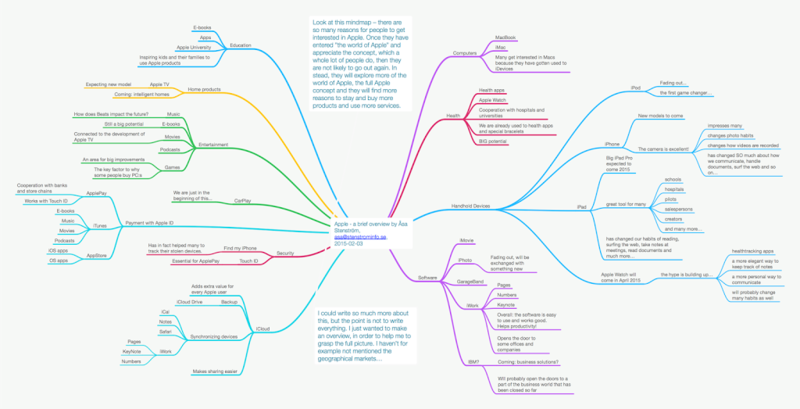 Apple WWDC 2013 – Thank you Tim and Jony! I’m so happy! I think you presented some really good news yesterday at the opening of WWDC 2013. What do I expect from Apple during 2013? Some new models of MacBooks, iPhones and iPads. We still don’t know about that. Fresh new version of iWork! It’s about time we get a good and well thought-out version of that incredible, enjoyable software. Yes! The new iWork for iCloud looks promising. One cool thing is that also PC-users will be able to use iWork and when they start doing that, MS Office will get a dangerous competitor, because iWorks is much more fun to use and produces better results in most cases. Making it easier to use Apple ID and iCloud, build in better solutions for sharing documents with others. No more confusing messages during updates or installations… Hm? I don’t know about that, but I really hope that will be part of the news in fall. New design for the iOS User Interface. Jony Ive – I hope you will come up with something delicate! Yes, yes, yes! Jony Ive you did it! Thank you! The new iOS 7 is SO cool! New, cool devices! Yes of course, we are getting curious: what are you Apple guys working on? Is it the iWatch, the Apple TV solution or what? Surprise me! YES! 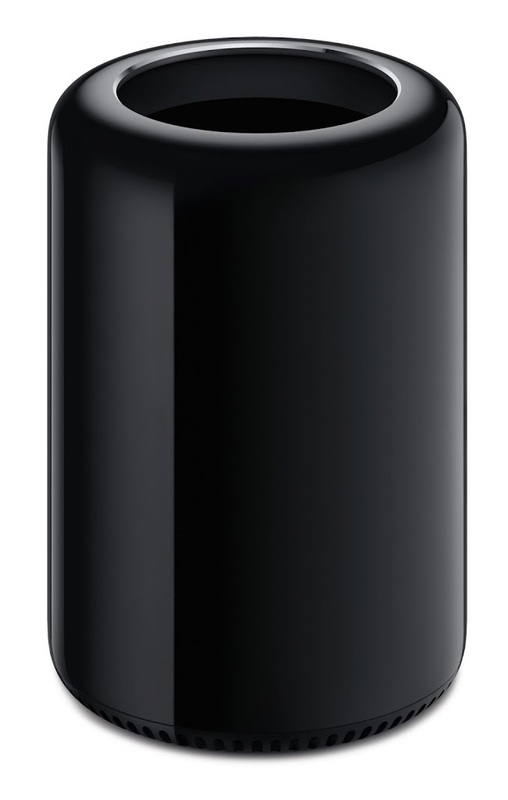 Who would ever have expected a round Mac Pro and because it’s Apple it’s not just round because it looks good – when they showed this beautiful item you could also see that the air circulation benefits from this and it will also get easier to plug in cables when you can turn it around. Continue to sell all over the world. I expect them to grow fast on markets in China and India, but also to grow on other markets of course. Hm, well it seems that India has started to buy a lot of iPhones and it seems like Apple is adjusting their OS to China’s social media Sina Weibo so it’s obvious that they really want to expand on those markets. I will follow this development with great interest. Expand their market shares in working places like schools, healthcare, factories, aircraft – well every kind of working place I can think of. Yesterday I read that SKF in Sweden has ordered 10.000 iPads (in Swedish, sorry!) for their sales persons. That’s one of the signs that tells me that working places all over Sweden and probably also the world are demanding iPads. If you ask me, we have only seen the beginning of this trend. To pay their dividends and maybe increase them a little? Yes, they have increased the dividends. Thank you Apple! I finish with my special, personal wish: Please Mr Tim Cook, give me a BIG iPad, an iPad Pro! I would love to work with a bigger touchscreen when I create ideas! Okay, I’m very happy with what you have showed me so far Apple, but where’s my big iPad Pro? I see no signs of that and I really, really wish that you work on this product. I have to mention the new OS X Maverick, but it was more a logic consequence from other parts of Apple’s development than a really new innovation (sorry Apple guys, just my impression, no offense…) Though it is very good that you will get iCloud Keychain for your passwords, iBooks on your computer (with a lot of cool features), multiple displays that will even include your TV, and I also like the possibility to tag file – I have gotten used to that using Evernote. One of the best things during the opening of WWDC 2013 was that the audience was so enthusiastic and really showed that they love and respect Tim Cook. He’s so worth it. He has had a tough challenge to fill up the stage after Steve Jobs left us. http://www.asastenstrom.se/middleof/wp-content/uploads/sites/4/2013/06/MacPro_PFH_PRINT.jpg 1024 650 Åsa http://www.asastenstrom.se/middleof/wp-content/uploads/sites/4/2015/03/asainthemiddle1.png Åsa2013-06-11 07:21:002015-03-21 14:11:18Apple WWDC 2013 - Thank you Tim and Jony! When I bought my Apple shares in January 2012 I didn’t expect the price to rise as much as it did. I was really amazed but also happy of course. But then things started to change by the autumn and we all know that the price is back to January 2012 once more. This year has really been a learning year for me and as usual, the best advice I now would like to give to myself is ”Always listen to myself”. I didn’t buy my Apple shares to earn a fortune in short time. I bought them because I like Apple and admire the work they do. I believe in Apple’s way of creating smart devices. Thinking like that, nothing much has changed since one year ago. The only thing that has changed for me is that I now have a bigger understanding for what the rally of expectations can do with the stock price and frankly, I find it so silly. Grown up men (well, a few women as well I guess, but the ones I read about are usually men) that tries to impress on each other with numbers, tables, statistics and graphs predicting the future for Apple. At some point most of them tried to be the best at praising Apple and then they got confused until they started to be best at dooming Apple. What did Apple do to feed all those predictions? Nothing strange really, they kept on doing a good job. Some new models of MacBooks, iPhones and iPads. Fresh new version of iWork! It’s about time we get a good and well thought-out version of that incredible, enjoyable software. New design for the iOS User Interface. Jony Ive – I hope you will come up with something delicate! New, cool devices! Yes of course, we are getting curious: what are you Apple guys working on? Is it the iWatch, the Apple TV solution or what? Surprise me! Continue to sell all over the world. I expect them to grow fast on markets in China and India, but also to grow on other markets of course. Expand their market shares in working places like schools, healthcare, factories, aircraft – well every kind of working place I can think of. To pay their dividends and maybe increase them a little? I finish with my special, personal wish: Please Mr Tim Cook, give me a BIG iPad, an iPad Pro! I would love to work with a bigger touchscreen when I create ideas! I think it’s okay if the price of the Apple shares don’t rise too fast if it means that the price will continue to increase during a long period, like five years. Because I don’t like the hysteria we had during 2012… I hope that Apple will keep on making a difference to the world. I love Apple. PS. I found the video on iDownloadBlog. It’s time to get social Apple! It only focuses on one customer: The Consumer. I see this like a wholeness where it’s not only about seeing the market as business or customers but also about seeing the customer as both a private person and a business person. That’s how I started to think after reading his article. This goes hand in hand with the development with social media. The old way is to think of business and work like something separate from your private life. In social media the tendency is to let them melt together and become one. We do business with persons, not with companies or brands. A lot of people haven’t yet understood this and are afraid to show themselves in person on Facebook. But we, as being customers, expect to see the person behind the business more and more. It’s not like one has to reveal secrets just because you have a blog. People want to feel connected to the persons behind the products today. Steve Jobs managed to create that feeling without social media, but Tim Cook who seems to be a really nice and clever man doesn’t have a similar strong connection with the customers and fans. A blog would be an excellent channel for him. He could connect with the customers. Also, another thing that Apple does against ”the rules” is the system for feedback. I understand that Apple is big, but it is another paradox to think of the extreme high level of customer care in Apple Stores in contrast to the dull system for feedback online. I send in suggestions and feedback all the time but never get a simple ”thanks”. When I send feedback to other companies they often answer me and make me feel like if they listen to me. I think the Apple Communities could get a more friendly tone and also it would be great to know if someone at Apple actually reads what goes on there in the discussion. That’s also a place where it would mean so much if people could feel that they participated in developing Apple’s products to get even better. Of course, it’s all the designers and engineers at Apple who does 99,9% of the hard work, but even so, it wouldn’t hurt to emphasize the feeling of ”all us Apple users are a big family and we help Apple as much as we can”. You know, I think that’s how it all begun? I remember that there were some kind of Apple groups in Växjö (Sweden) and there were more of them all over the world. Today I don’t know what has happened with those groups, I never hear of them. But today we could create that feeling of belonging to a group on the internet. And I think we are a lot of persons that long for ways to connect with Apple in ways like this. So, please Apple: consider becoming more social online! 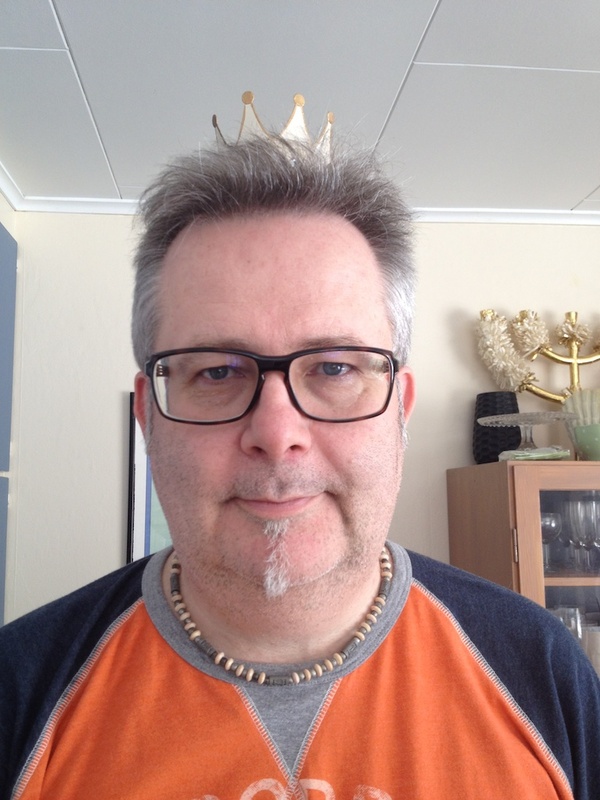 http://www.asastenstrom.se/middleof/wp-content/uploads/sites/4/2015/03/asainthemiddle1.png 0 0 Åsa http://www.asastenstrom.se/middleof/wp-content/uploads/sites/4/2015/03/asainthemiddle1.png Åsa2013-02-28 11:07:002015-03-21 14:11:18It's time to get social Apple! I don’t know much about Scott Forstall, I have only read the news, but I know a lot about what it’s like to use Apple products and there have really been some flaws that he’s been responsible of. Since I can’t use Siri in Swedish it hasn’t been especially useful for me and I can’t talk of my own experience, but it seems that there has been a lot of complaints. I have used Apple Maps while finding my way from Sorunda to Täby in Stockholm and it worked splendid – so I can’t really complain about that either, except that here on Gotland we only get the streets right, but not the house numbers… Though, Gotland is an island with 57.400 inhabitants, so we are not the biggest place, it’s understandable that we might have to wait a little longer for a a map that works, than big cities. Yes, iOS is still an incredible product, but the skeuomorphic leather and wood grain interfaces that Forestall’s teams have added over the last two years have made iOS feel dated. Why on earth did they make it like that? It’s not the Apple-way to do it. I would be furious if I was Jony Ive. It’s remarkable that Jony hasn’t had the last say in that design! Let’s hope he gets it now. Because, really… fake leather and fake wood is not what I expect from Apple. I expect futuristic, minimalistic, crisp and functional design. Design that stands on it own and don’t have to mimic other materials. It’s not the first time we read critics about the leather and wood design and I think it’s the crossing point that shows if you get the Apple way or not. (Okay who am I to know that, really? Even so, it’s my apprehension of the Apple way) Since Forstall seems to have been so stubborn about it, it also shows that he lacked the ability to listen to experts in design. I wonder how much damage he actually has caused, measured in dollars? Now I expect Apple to take a new grip on these skeuomorphic design elements!